No matter your personal style, jeans are a wardrobe essential. A great pair of denim can be dressed up with heels and a silk blouse, or dressed down with canvas sneakers and a graphic tee. Save for formal or business events, jeans can be worn to almost any occasion since dark rinse denim creates a polished look and can be thought of as an alternative to black pants. 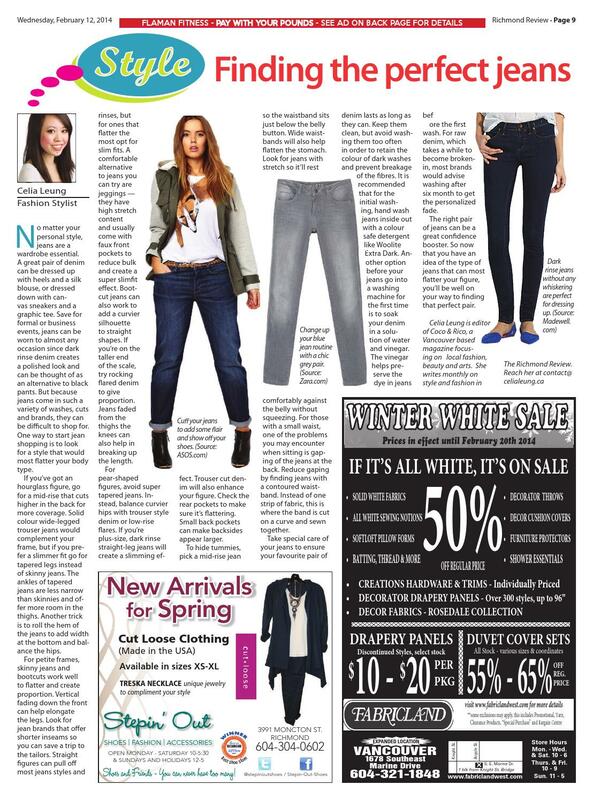 But because jeans come in such a variety of washes, cuts and brands, they can be difficult to shop for. One way to start jean shopping is to look for a style that would most flatter your body type. Cuff your jeans to add some flair and show off your shoes. If you’ve got an hourglass figure, go for a mid-rise that cuts higher in the back for more coverage. Solid colour wide-legged trouser jeans would complement your frame, but if you prefer a slimmer fit go for tapered legs instead of skinny jeans. The ankles of tapered jeans are less narrow than skinnies and offer more room in the thighs. Another trick is to roll the hem of the jeans to add width at the bottom and balance the hips. For petite frames, skinny jeans and bootcuts work well to flatter and create proportion. Vertical fading down the front can help elongate the legs. Look for jean brands that offer shorter inseams so you can save a trip to the tailors. Straight figures can pull off most jeans styles and rinses, but for ones that flatter the most opt for slim fits. A comfortable alternative to jeans you can try are jeggings — they have high stretch content and usually come with faux front pockets to reduce bulk and create a super slimfit effect. Bootcut jeans can also work to add a curvier silhouette to straight shapes. If you’re on the taller end of the scale, try rocking flared denim to give proportion. Jeans faded from the thighs the knees can also help in breaking up the length. Dark rinse jeans without any whiskering are perfect for dressing up. For pear-shaped figures, avoid super tapered jeans. Instead, balance curvier hips with trouser style denim or low-rise flares. If you’re plus-size, dark rinse straight-leg jeans will create a slimming effect. Trouser cut denim will also enhance your figure. Check the rear pockets to make sure it’s flattering. Small back pockets can make backsides appear larger. To hide tummies, pick a mid-rise jean so the waistband sits just below the belly button. Wide waistbands will also help flatten the stomach. Look for jeans with stretch so it’ll rest comfortably against the belly without squeezing. For those with a small waist, one of the problems you may encounter when sitting is gaping of the jeans at the back. Reduce gaping by finding jeans with a contoured waistband. Instead of one strip of fabric, this is where the band is cut on a curve and sewn together. 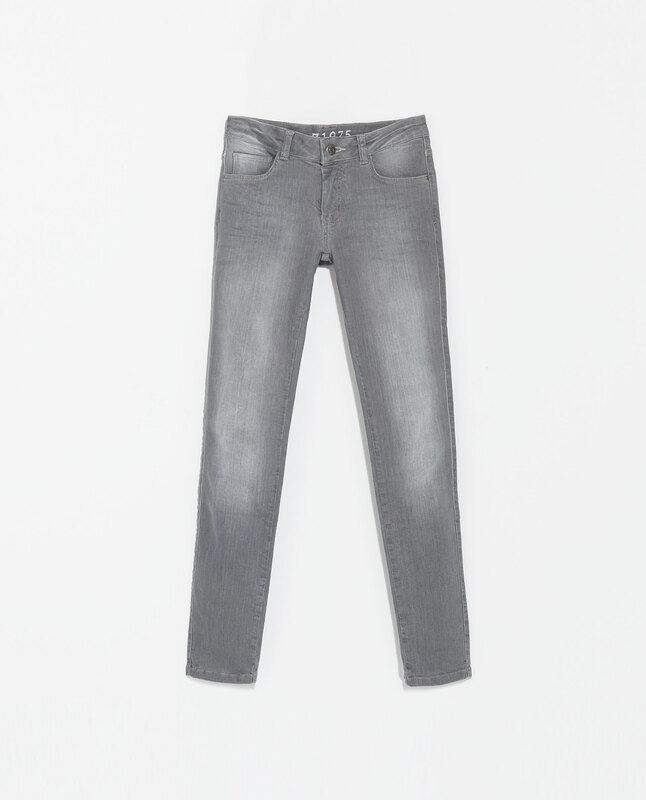 Change up your blue jean routine with a chic grey pair. Take special care of your jeans to ensure your favourite pair of denim lasts as long as they can. Keep them clean, but avoid washing them too often in order to retain the colour of dark washes and prevent breakage of the fibres. It is recommended that for the initial washing, hand wash jeans inside out with a colour safe detergent like Woolite Extra Dark. Another option before your jeans go into a washing machine for the first time is to soak your denim in a solution of water and vinegar. The vinegar helps preserve the dye in jeans before the first wash. For raw denim, which takes a while to become broken-in, most brands would advise washing after six month to get the personalized fade. The right pair of jeans can be a great confidence booster. So now that you have an idea of the type of jeans that can most flatter your figure, you’ll be well on your way to finding that perfect pair. The flights and accommodations are booked, places of interest noted and organized, and list of fun activities already planned. Now you just have to pack — a somewhat tiresome but necessary task. The main idea is to pack smart so you don’t risk over-packing with things you never end up using, or realize an important item is missing by the time you’re at your destination. 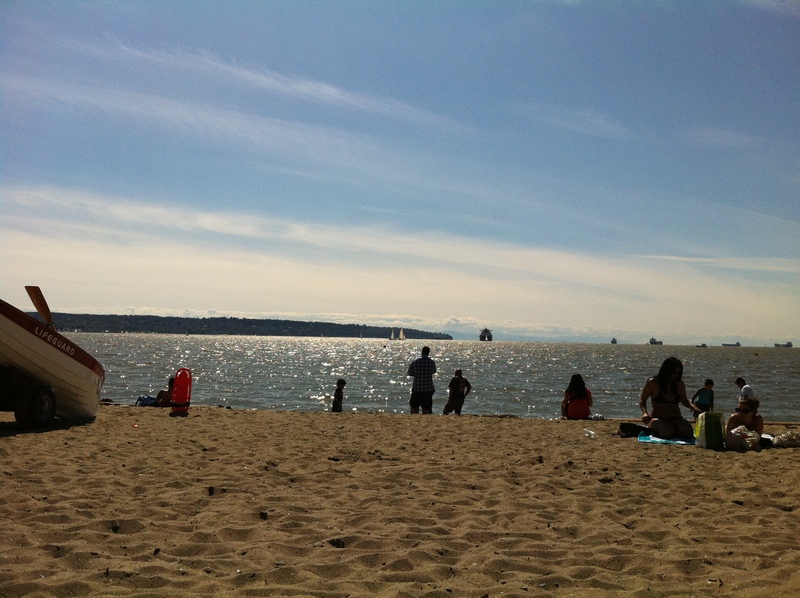 Make a list of items to bring at least a few days before you start packing for your trip. That way, you’ll never forget to bring something that is essential. Also check with your airline’s baggage regulations and the transportation authority of the countries you’re flying in and out of, especially rules for carry-on luggage. Then you can plan your travel bags accordingly and prevent any hassle at the airport. For clothes to pack that will have you looking stylish in all your travel pictures, the key is versatility. Bring basic items that will go well with anything such as jeans, neutral tees, blouses and skirts. Pack pieces that are in a similar colour scheme so it’ll be easier to mix and match. Casual dresses are always great since they’re a comfortable, one-piece ensemble. Dresses can also be transformed into a different look by covering the top with a different blouse or the bottom half with a longer skirt layered over. Also pack layers such as cardigans, vests and thin sweaters so you’ll be ready for chilly nights or places that are heavily air conditioned. Of course, take into consideration the activities you’ll be doing during your trip, whether you’ll be attending a work meeting, hiking around scenic areas, spending time on a beach or dressing up for a night out. A dark blazer usually works to make a look more polished and dressed up. Maxi dresses, such as this one from ASOS, can take you from a casual breakfast to a fancy dinner. A must have for any trip are shoes that are comfortable to walk hours in and can go with most of your outfits. Low top Chuck Taylors are a popular option. Street stylish girls have been pairing the classic sneakers with anything from boyfriend jeans to miniskirts. As for bags, go with a cross-body purse, or at least one with a shoulder strap, for your travels so you’ll have both hands free to explore the town. If you do find it necessary to bring a lot of clothing, try using packing bags that you can compress in order to maximize available space. And for those going on a lengthy trip, there’s always the option of washing your clothes at your hotel, local Laundromat, or even hand-washing in the sink. 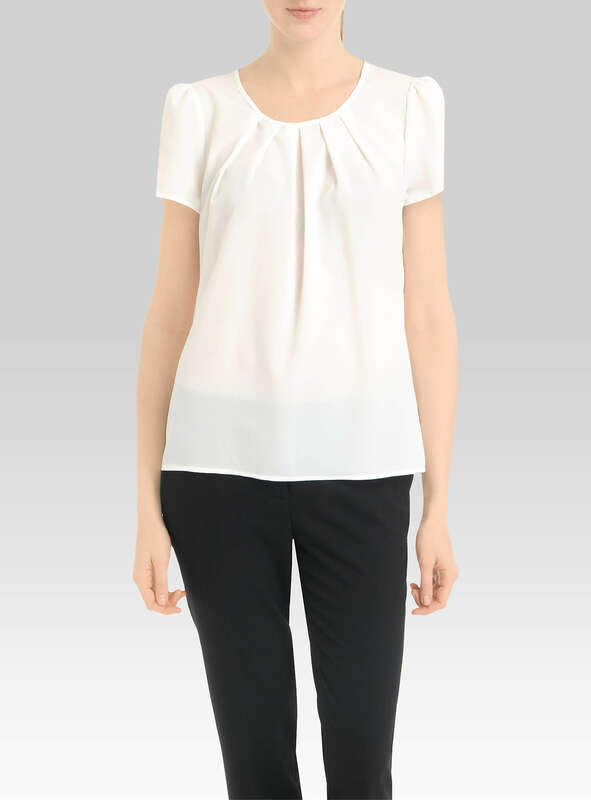 A simple white blouse like this one from Simons is perfect for any style of skirt, shorts or trousers. Try to bring items that are wrinkle-resistant — no one wants to take time out of their sightseeing schedule in order to iron. Usually manmade fabrics such as nylon, polyester, and lycra are wrinkle-free. Cotton blends, denim and knits can also go without ironing. Linen, a lightweight fabric great for hot weather, is supposed to be slightly wrinkled. So if you don’t mind an earthy, rumbled look, incorporate linen fabrics into your summer travel ensembles to keep cool. For the actual packing process, whether you’re carrying a suitcase or a backpack, roll your clothes instead of completely folding them. It’ll create fewer wrinkles while saving more space. For shirts, align the sleeves together by folding the shirt in half lengthwise, tuck the sleeves onto the body, and then roll from the collar to the hem. For pants, bring the legs together and fold in half, and then roll from the open end to the crease. If you’re bringing formalwear, insert some tissue paper between each piece to prevent any creases and try to lay them flat at the top of the suitcase, or use a garment bag. 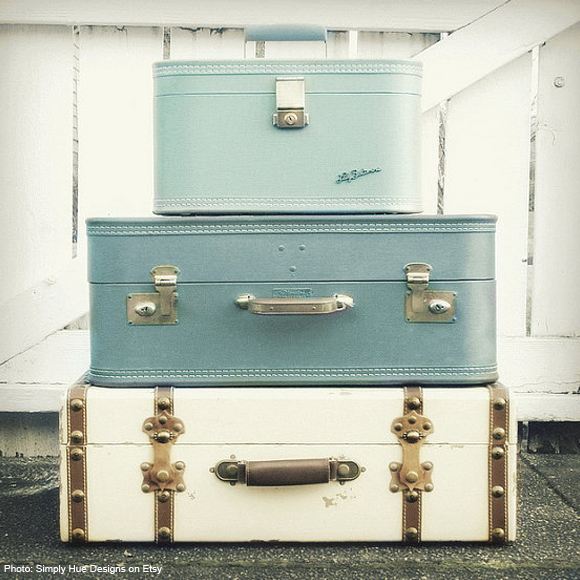 By not leaving packing until the last minute, planning ahead and preparing your luggage smartly, you’ll be on your way to a stress-free trip. Have a happy and safe journey! Hats and headwear made a big statement on the runways for the upcoming spring season. Whether it was the dramatic black hats seen at Alexander McQueen, whimsical animal ears spotted on the models at Anna Sui or biker caps at DSquared2, there were hats for every personality and style. Not only does the perfect hat take your outfit up a notch, it’s also great for covering up bad hair days and keeping your head warm during the colder months. One hat trend that’s easy to wear and fantastic for the winter is a slouchy beanie, otherwise known as a tuque. Close-fitting around the head and loose on top, slouchy beanies come in a variety of colours, patterns and knits. Wool fedoras are also a popular, albeit more formal, option for this time of year. Try finishing off your outfit with a fedora at night if you want a dressy, polished look. For even more glamour, you can accessorize with a wide-brim felt hat, as seen at the Saint Laurent show — designer Hedi Slimane topped off his rocker chic models with 70s-inspired floppy hats in neutral tones. An alternate approach to picking hats other than trying the trends is to go with one that will suit your face shape. Much like a hairstyle or a pair of glasses, hats can also help in flattering and framing the face. For oval faces, you’re in luck! Just like haircuts, oval faces are suited to most types of hats. Try a beanie without too much excess fabric at the top so you don’t elongate the face. To complement longer faces, stick to big circular hats such as thick beanies and Russian fur hats. Oblong faces also work well with curved brims like ones found on newsboy caps, cloches and floppy hats. You want to add width, not height, to your face. Another trick is to pull the hat forward to cover more of the forehead. 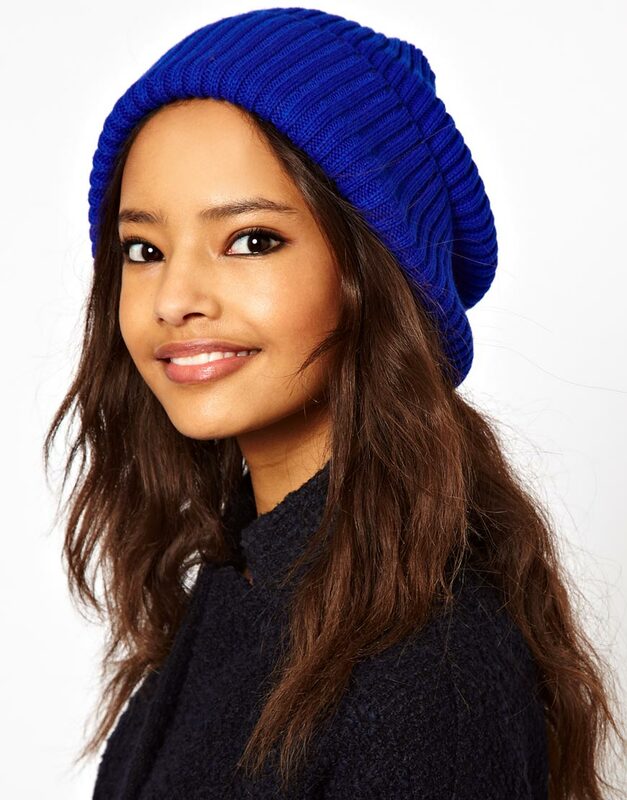 Look cool while keeping your head warm with this slouchy beanie from ASOS. For round faces, look for rigid, structured hats with angled brims and aren’t too circular at the crown. You want to add angles instead of roundness. Fedoras, newsboy and conductor caps are great for rounder faces. If your face is more heart-shaped, try slouchy beanies or berets to balance out and soften angles of the jawline and cheeks. Heart-shaped faces are also best suited to hats with medium-sized brims such as cloches, as shorter ones tend to enlarge the forehead and longer brims will make small chins appear pointier. And for faces with square jawlines, opt for feminine hats with large brims and curved crowns, like trilbies, floppy hats and bowlers. 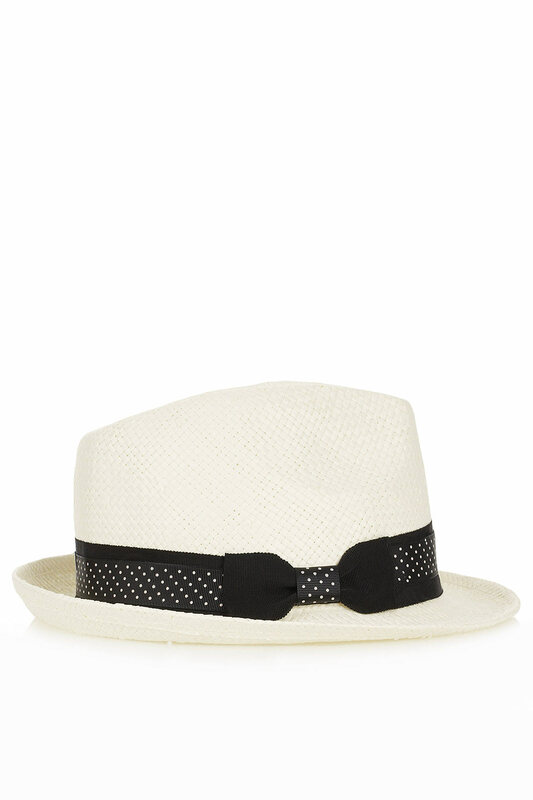 Get ready for spring with a straw trilby from Topshop. To prevent hat hair, choose hats made from natural fabrics like cotton, wool and cashmere. They’re less likely to cause unruliness from sweating of the head. Also take into consideration how snug the hat fits: tight beanies are more likely to cause hat hair while slouchy, loose berets are less likely to. Control flyaways and static with hairspray after wearing your hat. Spray some into your hand and run it over your hair for flyaways, and into the roots for a boost of volume. Those with short hair can also put in some volumizer before donning a cap. For longer haired ladies, you can pull your hair into a loose bun under a hat. Once it comes off, you’ll have waves since the hat insulates heat. 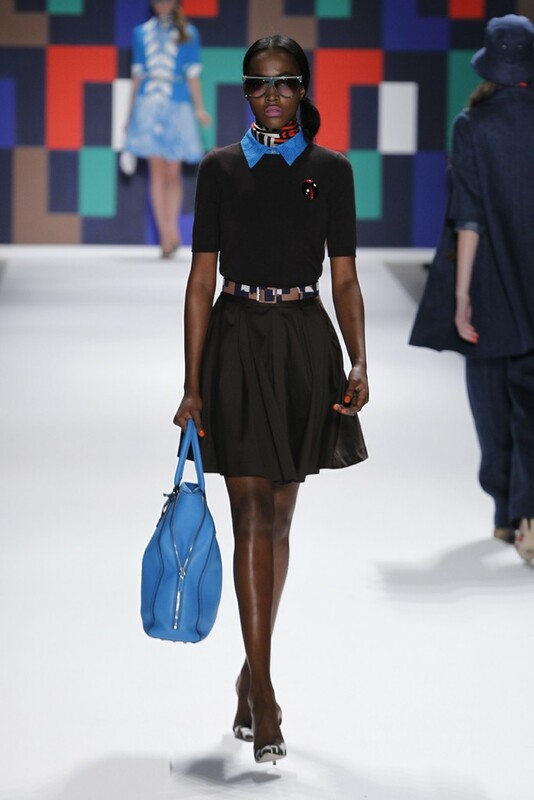 Baseball caps at DKNY spring 2013. Hats are an easy addition to change up an outfit. Just think of the different styles conveyed when a hat is worn with a simple jeans and tee look: glam with a fedora, androgynous with a newsboy cap, or even urban chic with a baseball cap as seen at DKNY. Play around with how the hat sits on your head, tilting it for different angles to find the right balance for your face. You can also individualize your hats with brooches, ribbons and studs. Like any accessory, hats can be an extension of your mood and style — have fun with them! Take a page out of Kermit’s book and go green for your New Year’s fashion resolution. Emerald was selected as Pantone’s Colour of the Year for 2013. A global leader in manufacturing colours, Pantone sets the standards for the design industry. 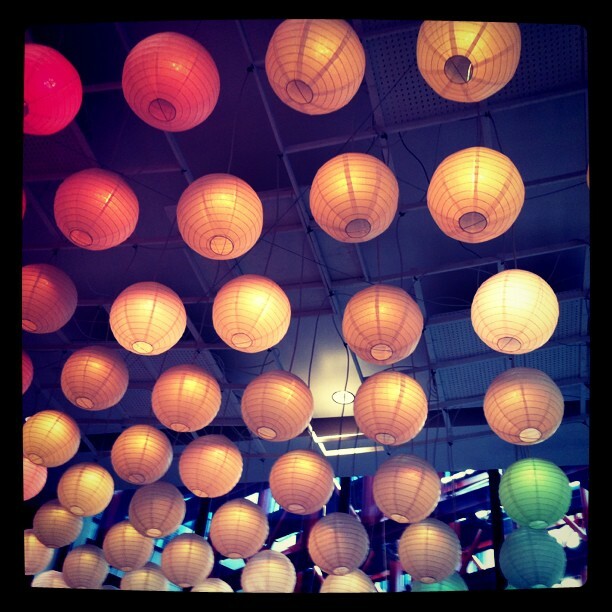 A shade is chosen for Colour of the Year after observing trends in fashion, art and interior design. Emerald lace trench coat at Burberry Prorsum’s spring show. Emerald made a splash at a number of recent spring collections. Burberry fashioned one of its illustrious trench coats using a lace version of the green hue. Stella McCartney sent a few of her models down the runway in sporty, oversized emerald outfits. And though the colour spectrum was fully embraced at the shows of Vera Wang and Akris, it was the emerald pieces that really stood out. 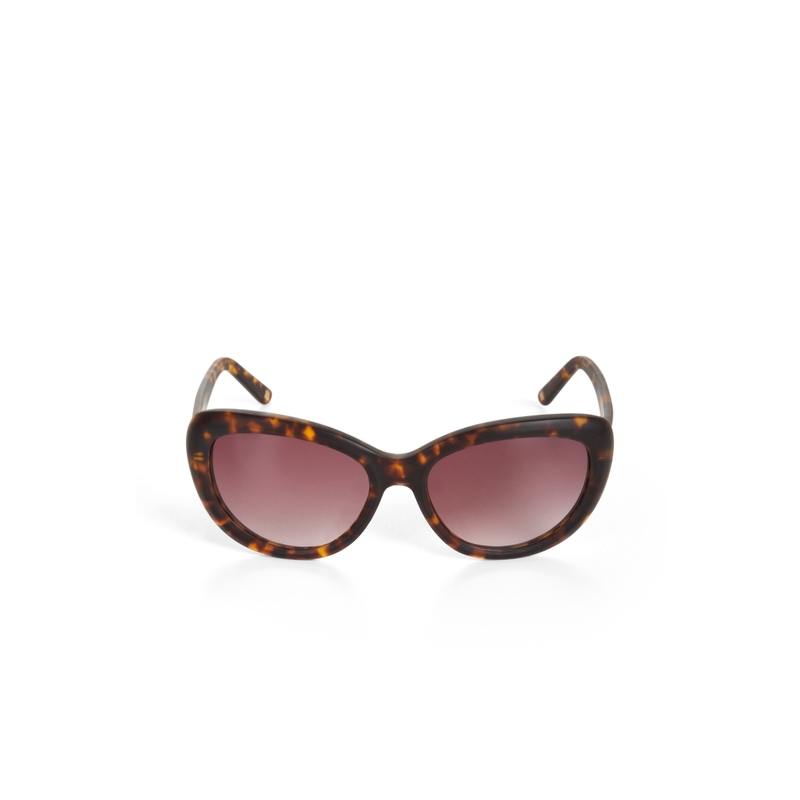 The luxe shade was even included in a few of the pre-fall collections that were just revealed, such as at 3.1 Phillip Lim, Gucci and Oscar de la Renta. 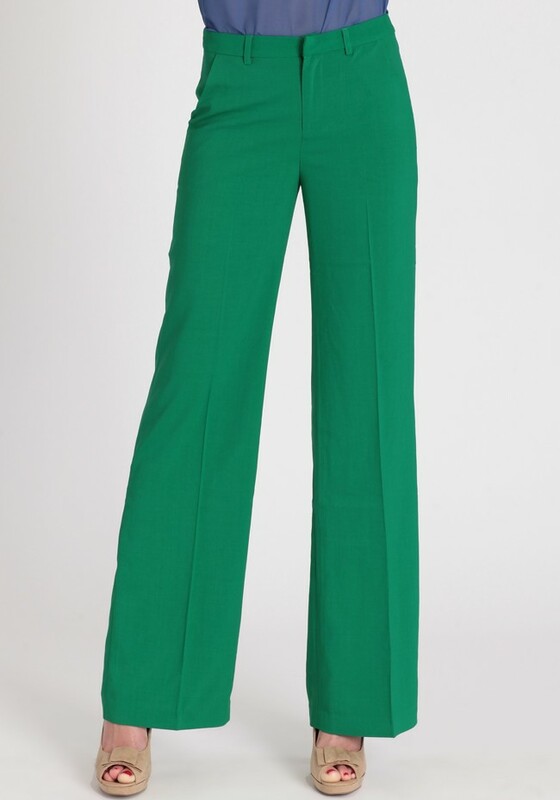 These emerald wide leg trousers from Ruche are definitely not for the shy. A vividly lush green, emerald represents renewal and growth — perfect for a fresh start to the year. Compared to previous Colour of the Year winners such as tangerine tango, a bright red-orange, and honeysuckle, a cheerful reddish pink, emerald is more versatile and easier to incorporate into daily ensembles. Emerald green is known as a universal colour, meaning it’s flattering towards all hair colours and skin tones. So break out those pieces usually reserved for St. Patrick’s Day and work them into your wardrobe rotation. Depending on your love for the colour, emerald can be worn as an accent piece or layered with other green tones, such as the ever popular mint, for a bold trendy look. When it gets warmer, try an emerald skirt with a pale mint blouse for a cool outfit that screams springtime. To prevent going overboard with green layers and looking like a leprechaun, find printed or patterned pieces with green shades in them. It’ll help tie the look together without being a green overkill. Turn some heads with this verdant embellished dress from TFNC. Jewel-tones such as emerald, ruby or sapphire, are always great options for evening outfits if you want to veer from the traditional black. To bring out the vibrancy, go for fabrics with sheen like silks, satins and velvets — emeralds will look more luminous. Just think of Keira Knightley’s slinky emerald silk dress in Atonement or Viola Davis’ green Vera Wang number at last year’s Oscars. For even more flash, opt for an emerald sequined piece. Emerald will also go wonderfully with the neutrals that will be trendy for spring (black and white, in particularly, were huge on the runways). Michael Kors mixed black and green together in rugby striped tops and geometric dresses for a polished elegance. To make a bolder statement pair emerald pieces with bright, complementary colours such as cobalt or a deep purple. 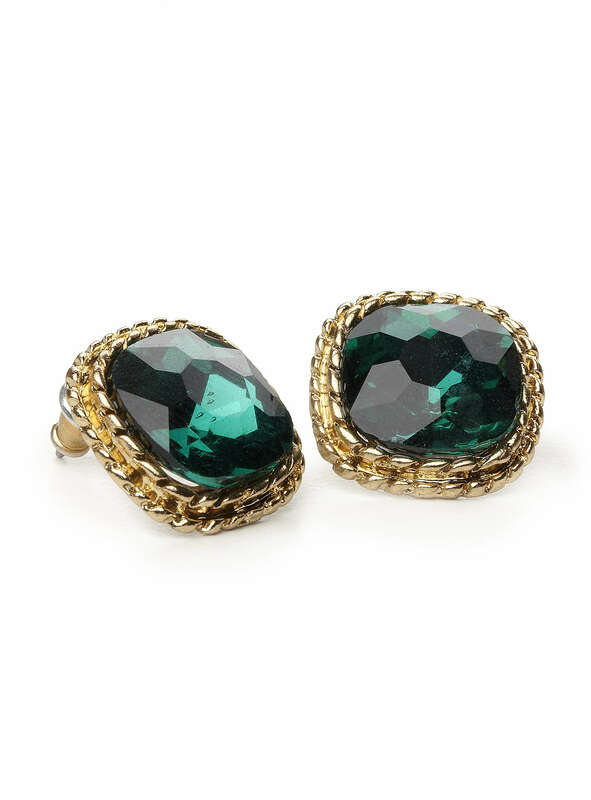 Add some subtle glam with Simon’s emerald earrings. If adding emerald clothing to your style is too extreme, ease into the trend with accessories. Emerald is a great colour for bags and shoes, since green is a standard colour for croc or snakeskin accessories and easy to find in stores. Plus the shade stands out even more against gold or silver hardware. Emerald costume jewelry is also a classic and nice to have for cocktail parties or dinners. 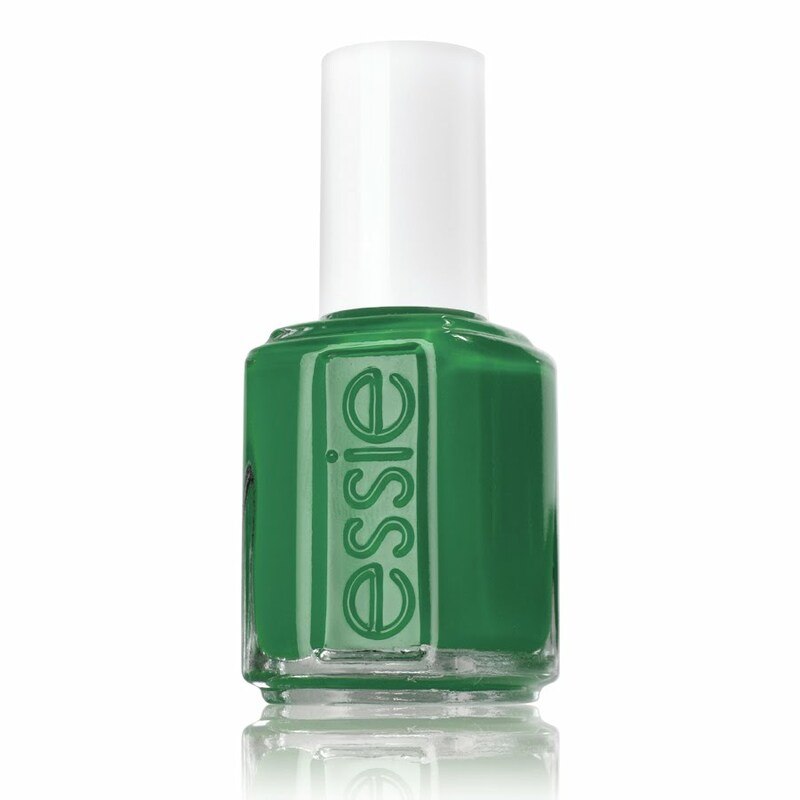 Brighten up your fingertips with green polish, such as Essie’s Pretty Edgy. Another simple way to wear emerald is on the nails. One of my favourite polishes is China Glaze’s Emerald Sparkle, a deep green jelly with glitter. For the daring, try emerald liner or eye shadow. Green eye makeup was used on the models at Michael Kors, Stella McCartney and Derek Lam this season. The colour provides a modern balance to peach or pink cheeks and lips. Use a cream or gel liner for a more intense look and pencil for a softer one. Daytime or evening, there are a variety of fun ways to include the Colour of the Year into your fashion repertoire. As the end of January approaches and I’m in the midst of celebrating the lunar new year, it’s somewhat fitting that shops have also begun to get their spring collections in. The beginning of the year has always been an ideal time to start fresh and set new goals to improve your life. And there’s just something about the spring season that reminds us to blossom and reinvent our look. In keeping with the theme of resolutions, I’ve come up with a few suggestions for fashion and beauty goals to ensure you’ll be looking your best for 2012. If you’re going to spend, splurge on classic pieces and save on the trendier items. Apparel such as peacoats, beige trench coats, black pants and white button-ups are basics and never go out of style. Invest in high quality, timeless pieces that can handle frequent wear and is cut in a simple style that will flatter your figure for years to come. Also, this time of year is great for coat shopping, as most stores will be having sales in order to get rid of their winter stock to make room for spring arrivals. For trendier items you’ll only wear for one season, shop at less pricey stores. It’ll save more and help reduce buyer’s remorse — it’s never pleasant to realize you paid too much for that tribal print maxi dress only worn twice. Leather jackets from Mackage are always a fun splurge. Perfect the art of layering. Not only is it a good way to make your look unique, but layering is completely practical for our climate. You don’t want to overdo it and end up bulky or looking like you’re including multiples styles into one outfit. The trick is to take into consideration colour, texture and proportions. Pair silks and satins with thicker fabrics like cottons or wools. Think about lengths: long, simpler tops underneath shorter, more elaborate pieces. One of my favourite go-to office looks is wearing a button-up underneath a cardigan so the shirttail and cuffs peek out, and then layering with a variety of necklaces. Explore what’s already in your wardrobe. If there’s a shirt you never wear because it’s too low-cut, layering solves that problem. And with the abundance of lace and sheer pieces available in stores now, your layering techniques will become effortless in no time. Layering at play on the runway of Milly's spring/summer 2012 show. Experiment more with colour this year. Pastels are going to be hot next season — they’ve been spotted on most of the spring collection runways from Milan to New York — so now’s a good time to play around with different shades to see which complements you best. If muted colours aren’t your thing, then incorporate some red-orange pieces into your closet. Pantone revealed that the colour of the year for 2012 is Tangerine Tango, a vibrant shade that works for clothing and cosmetics. The colour-blocking trend that was all the rage last year is continuing strong into this year too, so expect to see bold contrasts of colour in one ensemble. Corset dress from ASOS featuring an adorable pastel skirt. 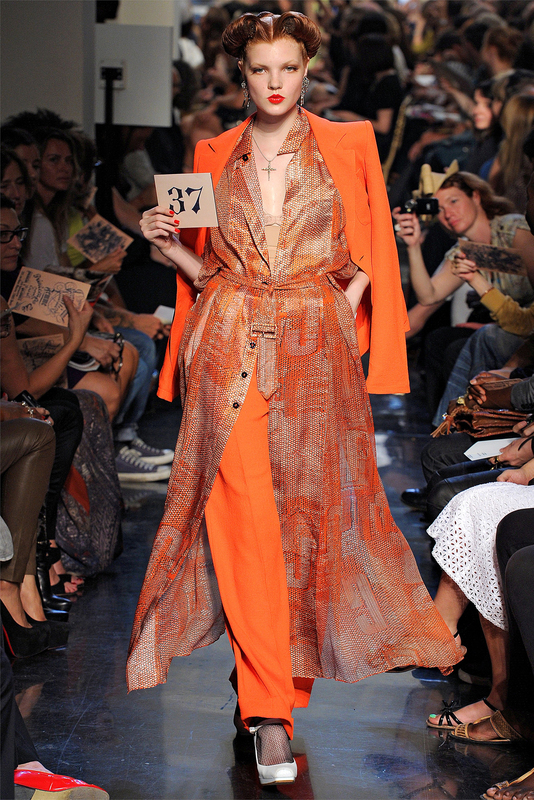 A combination of layering and Tangerine Tango presented at Jean Paul Gaultier. Go outside your comfort zone. It’s easier to rely on old standbys, but make it a goal to frequently change up your usual outfits or makeup look. If the majority of your wardrobe is solid colours, add some prints. You’re usually a jeans and a t-shirt gal? Then switch out your denim for a skirt or dress. If you don’t think you can pull off a particular trend, test it out for a day — you just might be surprised when the compliments start rolling in. Add more accessories into your daily look. I know I’ve fallen victim to applying the same makeup every day, so my main resolution this year is to experiment with different eyeshadows. One reason for fashion is for us to express ourselves, so we should have fun with it this year and try new looks! I need to find a pair of comfy pastel pants to emulate this 3.1 Phillip Lim look.